These are the high quality NF STRING Brand. 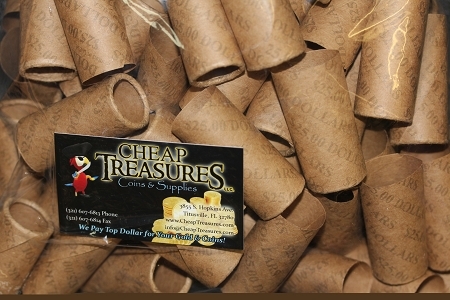 Very consistant, easy to fill, bank brand wrapper. These wrappers come pre crimped on one end. Available in sizes Cent, Nickel, Dime, Quarter, Half Dollar, and Dollar The dollar holders fit the small SBA, Presidential, and SAC dollars and not the large dollars. NF STRING Brand! These come 1000 wrappers of the SAME size per box. We cannot combine other items to this box. Additional ordered items are shipped separately. Additional boxes of 1000 wrappers will come in separate boxes of 1000.